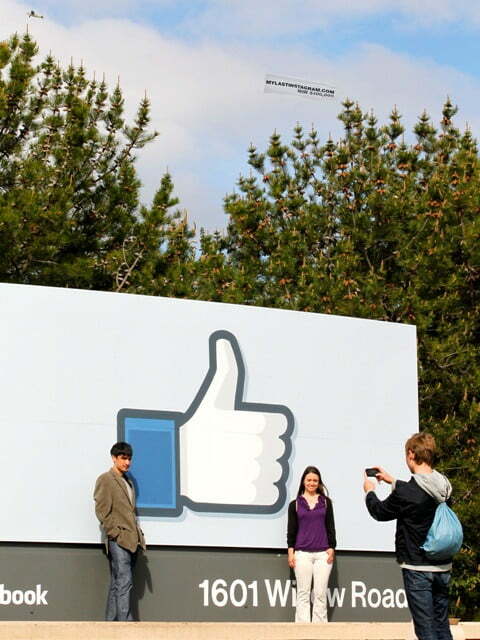 To say that Mobli is going whole hog on this idea is a massive understatement: The contest was announced this week with a jumbo-scale aerial banner flying over the Facebook headquarters. Flights took place from March 27 to 28, at 11:30AM – 1:30PM PT and again from 4:00PM – 6:00PM PT. According to Decespedes, “The idea behind announcing the contest via jumbo-scale aerial banner was just too epic to pass up. No one has ever had the balls to do something like that … it’s Facebook’s HQ!” Clearly, the fact the Mobli wants to steal some of Instagram’s thunder (and user numbers) is not being whispered around the board room. It’s being put out there – and then some. It’s very easy to see that we are attached to our mobile phones, and one of the biggest reasons we use it is to take and share photographs. Ever since its launch back in October 2010 – especially after it became available for Android devices – Instagram has consistently been our go-to app for transforming photos into works of art. However, some goodwill was lost during itsToS meltdown, there’s been a hint of dissension, and alternative image-sharing apps are ready to take advantage. That’s where Mobli hopes to come in – a media platform for smartphones that allows users to experience an event through different perspectives, where photos and videos are uploaded and shared and then categorized into subject-centric channels. Mobli, of course, would rather you use its service rather than Instagram’s. And if you’re lucky enough, it’s going to pay you to do it. Instagram launched right about the time smartphones had 2-megapixel cameras, and they were in a great position to offer photo enthusiasts a quick and easy way to beautify their shots, with a quality beyond their phone’s limitations. According to Mobli’s VP of Marketing, Dino Decespedes, the market standard for smartphone cameras today is 8 megapixels or higher, and basic filters and cropping limit a photo’s ability to immortalize moments as they were captured – it certainly does not aid in improving videos, panoramas, or any image that depicts height and width. Mobli not only has both photo and video filters, it also comes with advanced proprietary technology that will improve the way users share footage online, according to Decespedes. Their location and context-based filters allow the app to push real-time branded photo filters to certain users in a particular location, or users following a particular brand or hashtag. An example Decespedes offers for this is Mobli’s exclusive #MSG photo filter, which users can apply when taking photos at Madison Square Garden. Are you willing to post YourLastInstagram? And how better to do that than with an aggressive contest? Mobli has been constantly working on optimizing the process of uploading and sharing photos of any size and videos of any length. Through the Mobli app, users can create, edit, and share directly to Facebook, Twitter, Tumblr, and the growing Mobli community. To aptly introduce Mobli’s new enhancements to their comprehensive photo-and-video-sharing apps available for iOS, Android, and Windows 8 devices, it decided to launch MyLastInstagram, a photo contest that encourages users to do away with yesterday’s market standard. The lucky winner (and Mobli convert) will be awarded $100,000. Joining the contest is pretty simple: Download the app on your smartphone and log in to Mobli. Take and upload a creative, funny, original photo using Mobli’s #mylastinstagram filter. 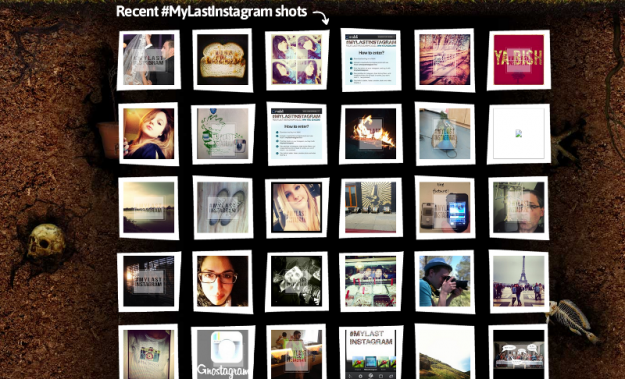 Post that photo on Instagram and tag it #mylastinstagram. So this and this … not going to cut it. Users have until June 30, 2013 to enter for a chance to win $100,000; for an entry to be valid, contestants are not allowed to use Instagram from June 30 to October 1, 2013. That’s right: Three whole months, no Instagram (we know that just ruled out a few of you). Those who can’t resist the urge to use the app within that time period will be disqualified and will no longer be eligible to reach the judgment portion of the competition. Also, get rid of those screen grabs. You need to post original content, and it needs to have the Mobli filter – and lastly, it needs to be posted to Mobli and Instagram. Read through the contest rules to be sure. 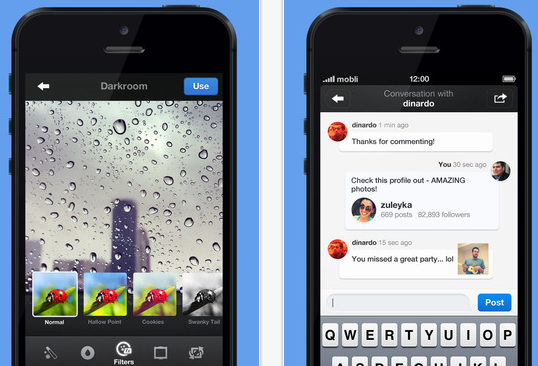 Mobli intends to monitor and double check all entries to make sure all images being considered are eligible. They have an internal content team who will be constantly monitoring both Mobli and Instagram. What’s interesting about the contest is that it’s a very aggressive, no-holds barred approach. After the ToS flare up, plenty of competitors tip-toed out, offering up themselves as great alternatives – but no one was talking money, there was hardly talk about outright quitting Instagram, and there certainly were no banners flown over Facebook. On on hand, it’s refreshing to see someone blatantly trying to challenge a major market rival. On the other, this has publicity stunt written all over it.